This is a good idea. Please support it if you are able. Today is Lammas, also known as Lughnasadh. Lammas is a Pagan festival called a Sabbat. It is a celebration of the first day of harvest. Wheat and corn fields will be glowing a ripe golden colour now and the reaping will begin. Fruit will be ripe and falling from trees and bushes. The word Lammas means Loaf Mas. At this time, plants will begin to wither and drop their seeds that will be reborn in the Spring. The earth is going through a transition where darkness is beginning to take over light, nights will become longer, and days shorter. Death is taking over life and cold is taking over warmth as we head into Autumn.In Celtic times, this day was a celebration of the Sun God Lugh. 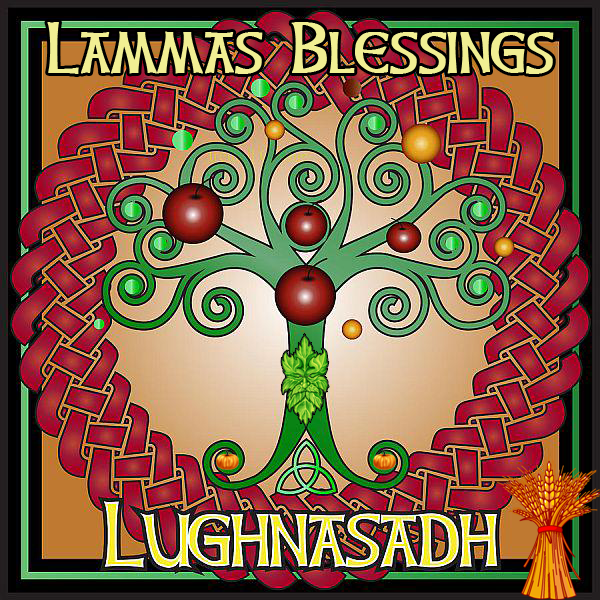 the word Lughnasadh (pronounced Loonasa) means “praise Lugh”. It was a time of giving thanks to the Sun God for the harvest and giving offerings of bread, corn, and wheat. A bonfire would be built called a Lughfire where the offerings would be thrown into it. This is also a celebration of the Goddess who after laying with the God at Beltane is now in her Mother Aspect and has given birth to the bounty we see. Lammas is a time of personal reflection and our own personal harvest of our actions and deeds, events and experiences, gains and losses. A time when we begin the cycle of reflection of that which is our life. At this time we begin to reap what we have sown for all our hard work we have put in throughout the year. Primarily, Lammas is a time of thanksgiving, when we appreciate all we have in our lives and give thanks to the Gods and the earth for their gifts. On our altar we should put harvest grains and ripe fruit to honor the season as an offering to the Gods. Also add fresh bread, any fallen leaves, and nuts are also traditional. Lammas is a time of excitement and magic. The natural world is thriving around us, and yet the knowledge that everything will soon die looms in the background. Now It is a good time to rid yourself of all that is old to allow in the new. Lammas Blessings. May the God and Goddess watch over you. Written credit goes to Wicca Teachings.